There is no single straight forward answer to this question and it could take several hours/days to find a solution to this problem, depending upon your expertise. First things first. 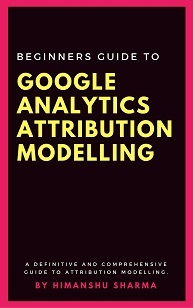 It is common and normal to have data discrepancy between Adwords and Google Analytics data. So no need to panic. However it is not normal to have very large data discrepancy between adwords and GA data. For example, your adwords is reporting 100 clicks from an adwords campaign but your Google Analytics is reporting only 10 sessions from that campaign in the same time period. Before you take any action, you need to first measure the level of data discrepancies between adwords and Google Analytics. 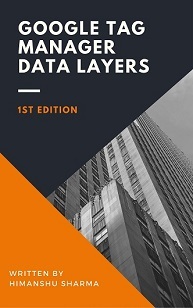 Through this report you can measure the level of discrepancy between ad clicks and GA sessions for all campaigns or for each individual Adwords campaign. Small amount of data discrepancy is normal. But if you see lot of difference then it is a cause for concern. From the screenshot above we can conclude that the Adwords clicks are far more than Google Analytics Sessions. So there is clearly a huge data discrepancy between Adwords and Google Analytics and we need to dig deeper to find the cause. Now you have got a pretty good idea of why there is no single straight forward answer. If your Google Adword account in not linked to your Google Analytics account then all of the traffic from Adwords can be reported as organic traffic from Google in GA.
You may not see any adwords traffic data being reported in your GA reports. So in case, you have got this issue, you need to link your Adwords account to your Google Analytics account. 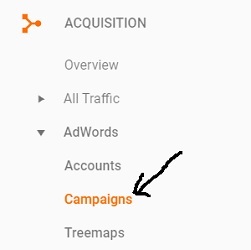 Step-1: Navigate to Acquisition > Adwords > Campaigns report in your GA view. If you see such notification and you use Google Adwords then you need to link your adwords account to your GA account. Linking Adwords account to your Google analytics account help you greatly in understanding what people do on your website after they click on your adwords ads. You can understand the behavior of Adwords visitors in terms of site usage (pageviews, bounce rate, avg. 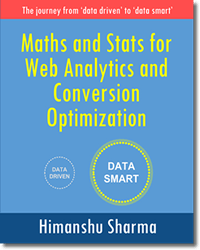 session duration etc), goal conversions and e-commerce transactions. This type of insight helps immensely in optimizing ad copies, keywords and landing pages of your Adwords campaigns. 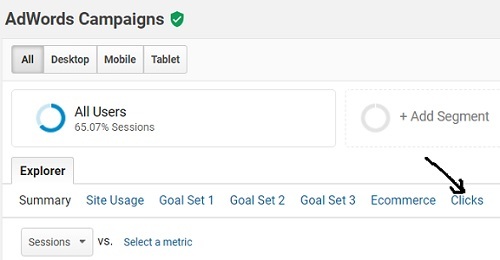 #1 You can import Google Analytics goals and sales data directly into Google Adwords. 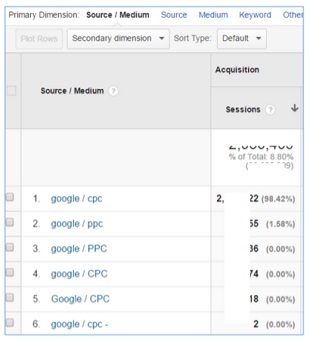 #2 You can import Google Analytics remarketing audiences into Adwords. #3 You can run dynamic remarketing campaigns in Adwords. #4 You can import website usage data (like bounce rate, average session duration etc) from GA into Adwords. 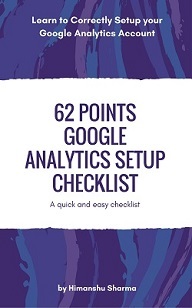 #5 You get more accurate data in your GA reports esp. 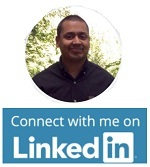 in your multi channel funnel reports. 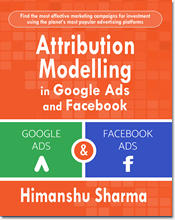 #6 You get accurate data in various attribution reports in Google Adwords. If you have got access to multiple Adwords accounts then there is a possibility that you accidentally linked wrong Adwords account to GA. Make sure that the correct Adwords account is linked to Google Analytics. Avoid linking multiple Adwords accounts to the same GA view as this can increase data discrepancies between Adwords and Google Analytics. There is always a very strong probability that the number of clicks on your Adwords ads do not match with the number of resulting Google Analytics sessions. This is because ‘clicks’ and ‘sessions’ are fundamentally different metrics. A click is a hit (user’s interaction) whereas a Google Analytics session is a group of hits recorded for a user in a given time period. 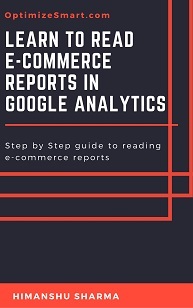 On top of that, Google Adwords report ‘clicks’ whereas Google Analytics report ‘ sessions’. In Google Analytics, every time a campaign source is changed, the existing Google Analytics session expires and a new session starts. If you are using Google Adwords autotagging, then each ad click has its own unique GCLID value. 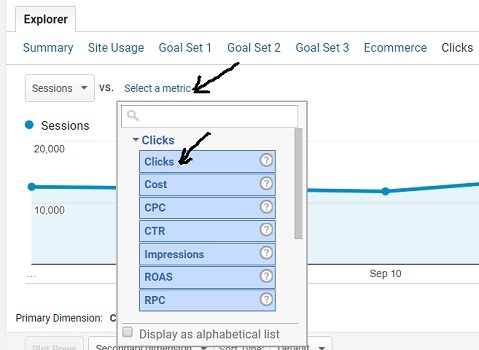 So multiple clicks on the same ad will change the GCLID value associated with the ad which will cause the existing GA session to expire and a new session to begin. So if Google Adwords in not filtering out multiple clicks on the same ad then in that case the number of ad clicks would be equal to number of GA sessions. If a user is excessively clicking on the same ad over and over again then Google Adwords may choose to filter out excessive clicks. But Google Analytics still won’t filter out multiple GA sessions generated from such invalid ad clicks. So in that case, one click can result in multiple GA sessions. If you are manually tagging Adwords campaign URLs, then each ad click can have the same campaign source. So multiple clicks on the same ad may not change the campaign source and hence the existing GA session may not expire and no new GA session will begin. In other words multiple clicks on the same ad by a same user, may not generate multiple GA sessions, if you have manually tagged your Adwords ads. If Google Adwords in not filtering out multiple clicks on the same ad then in that case the number of ad clicks could be greater than number of resulting GA sessions. If a user is excessively clicking on the same ad over and over again then Google Adwords may choose to filter out excessive clicks. In that case the number of ad clicks could be equal to number of resulting GA sessions provided you have manually tagged the adwords campaigns. Google Adwords filter out invalid clicks but Google Analytics can’t filter invalid sessions resulted from such ad clicks. So Google analytics will track and report sessions even for invalid clicks. If your adwords account is getting lot of invalid clicks (may be because of click fraud or spambot attack) you will see lot more GA sessions than ad clicks. If the landing page of the Adwords ad doesn’t contain Google Analytics tracking code, then Google Analytics will not be able to track sessions but Adwords will still track and report on ad clicks. In that case the number of ad clicks could be more than the number of GA sessions. Use a website crawler like ‘Screaming frog SEO Spider’ to find pages with missing GA tracking code. You can also use tag auditing tools like ‘Tag Inspector’ to find such pages. Note: If your website does not use template files then you are more likely to find web pages with missing GA tracking code. 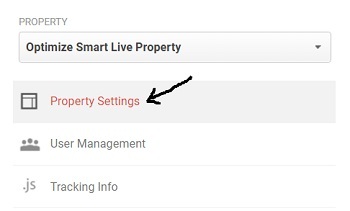 Whenever Google Analytics tracking code does not fire for some reason on the landing page of an Adwords ad, Google Analytics does not track session resulted from an ad click but Adwords will still track and report on the ad click. In that case the number of ad clicks could be more than the number of GA sessions. #1 Google Analytics tracking code is not a valid code. #3 A user is using Google Analytics opt out add on which disable Google Analytics. #4 Redirects in landing pages may prevent the Google Analytics Tracking code from being executed. #5 Some server or client side error may prevent GA tracking code from being executed. Use ‘Google Tag Assistant’ to identify such issues. This issue has become more common lately, as more and more marketers have started using ‘Google Tag Manager’ (GTM). Often marketers forget to remove the hardcoded GA tracking code from the website once they start using GTM. As a result, the tracking code is fired twice on each landing page, once via the code, hardcoded on the page and once via GTM. So every click on an adwords ad can trigger two GA sessions. In that case you may see lot more sessions than ad clicks. Make sure that Google Analytics tracking code is fired only once on a page. You can identify this issue by using ‘Google Tag Assistant’ and by learning to install Google Tag Manager correctly via this article: Google Tag Manager Implementation and Deployment Guide. View filters can remove some or lot of GA session data from your view. So when you compare the session data from a filtered view, with Adwords click data, you are more likely to see lot of data discrepancy. The solution to this problem is to always use unfiltered view when comparing Adwords and Analytics data. In order to import Adwords data into Google Analytics, you need to tag the adwords destination URLs. You can do that either manually or through auto-tagging. If the manual tagging of destination URLs is not correct then Google Analytics may choose to ignore the campaign tracking variables and treat adwords traffic as Google organic traffic. This would result in lot of discrepancy between adwords and analytics data. The solution to this problem is to avoid using manual tagging. Use auto-tagging instead. Google also strongly recommends using ‘auto tagging’ for Google Adwords campaigns. In order to get adwords data into Google Analytics, you need to tag your Adwords destination URLs either via auto-tagging or manually. If you do not tag your Ad URLs then Google Analytics can report adwords traffic as traffic coming from Google organic search. This can happen, if you have disabled auto-tagging but then forgot to manually tag your ads URLs or when your auto-tagging is not working for some reason. If you are tagging adwords destination URLs both manually and via auto-tagging for the purpose of importing Adwords data into Google Analytics then this could create serious data discrepancy issues. When you use ‘auto tagging’, Google automatically tags the campaign source and medium of your AdWords ads as google / cpc. But if you are also using manual tagging, you may over a long period of time, tag the same campaign source and medium differently as: google/ppc, google/PPC, google/CPC, Google/CPC etc. In GA, traffic source names are case sensitive. So Google is different from google and Google. Similarly, traffic medium names are case sensitive. So cpc is different from CPC, Cpc. If you are not consistent with the names and spellings of the values of your campaign tracking variables then you are most likely to see multiple/duplicate entries in your GA view. The best practice is to avoid using both manual and auto-tagging at the same time. If you are using auto-tagging, make sure that no URL is manually tagged. There are situations when you have to use both manual and auto tagging. Like for example, if you want to track Adwords traffic data in Kissmetrics in addition to Google Analytics, then you have to use both manual and auto tagging. Kissmetrics can not extract any campaign data from the GLCID parameter. So GCLID is pretty much useless for kissmetrics. 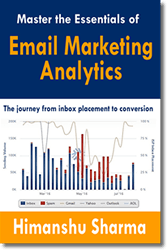 It can get campaign data only through campaign tracking variables (UTM parameters). So you need to use manual tagging for sending adwords data to Kissmetrics and auto-tagging for sending adwords data to Google Analytics. If you are using both manual and auto-tagging then GA can discard campaign tracking parameters (UTM parameters) in favor of GCLID. Sometimes redirect can cause a GCLID parameter to be dropped from the landing page URLs (quite common in case of redirect from desktop to mobile website) . When GLCID parameter is dropped, the auto-tagging doesn’t work and Adwords campaign data is not sent to Google Analytics. Step-1: Add ‘?gclid=test’ to the end of the original destination URL of your Adwords Ad. If glcid=test is not the first parameter, then add ‘&gclid=test’ to the end of the destination URL of your Adwords Ad. Step-3: If the URL of the resulting page does not display ‘gclid=test’ then it means the redirect did not carry the GCLID parameter from original URL to final URL. #1 Prevent the redirect from occurring .You can do that by manually updating all of your original ad destination URLs to final URLs. For example if your original ad destination URL is https://www.abc.com/ but it redirects to https://www.abc.com/tops/ then use the later URL as your ad destination URL. In this way no redirect will take place when a user clicks on an ad and hence no GCLID parameter will be dropped. #2 Configure your server to allow redirects to carry GCLID parameter from original URL to final URL. Here the URL has changed but the GCLID parameter remains intact. That means your redirect is able to carry the GCLID parameter from original to destination URL. Sometimes GA can’t read GCLID value even when you can see the value in the browser address bar. #1 Google Analytics Tracking code on the landing page is not valid. #2 GA tracking code is valid but is not fired for some reason. #3 GA tracking code is embedded in an IFRAME and the IFRAME is not a parent frame. If GA tracking code is embedded in an child frame then it can not read the GCLID value, as a child frame can not read the address URL of a parent frame. So make sure GA tracking code is always embedded in parent frame. The value of this GCLID parameter is 100 characters which is the maximum value a GCLID parameter can store. Step-2: Copy-paste the modified URL into the address bar of your browser window and press enter. Step-3: If the entire value of the GCLID parameter remains intact, then it means your server is not truncating the GCLID value. This can happen when the presence of GCLID parameter in a URL breaks the URL rewrite rule. You would need to configure your web server so that it accept GCLID parameter. Sometimes a user bookmark a landing page and the page URL also contains the GCLID parameter. In that case when a user return to your website via the bookmark, Google analytics record a session resulting from an ad click but no ad click is recorded and reported by Google Adwords. If lot of users return to website via such bookmarks then Google Analytics can record more sessions than ad clicks reported by Adwords. 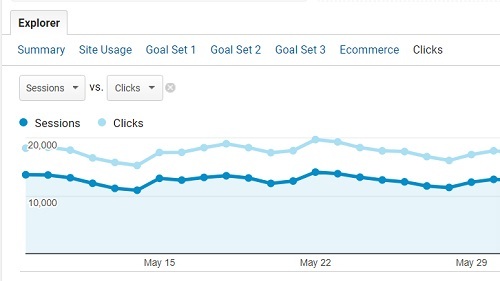 Data sampling in Google Analytics can easily skew your GA sessions data and as a result you may see lot of discrepancy between adwords clicks and GA sessions. If everything else fails, you are most likely comparing apples to oranges. When you look at the analytics data for long data ranges (6 months or more), you could be comparing apples to oranges. This is because so much would have changed during that time frame from: website size, traffic volume, marketing campaigns and yes analytics setup. 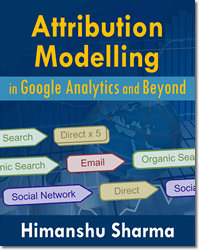 May be 6 months ago, your analytics account wasn’t linked to your Adwords account. May be 3 months ago, conversion tracking wasn’t set up in Adwords. May be 4 months ago there was some problem with auto tagging. May be 3 weeks ago, you applied a filter to your GA view which started excluding all of the internal traffic. So when you overlook all of these historical changes made to your Adwords and GA accounts and you start comparing Adwords clicks with GA sessions, you are likely to see data discrepancies.